After the only few months lasting usability of the Griffin SmartTalk, it was time to look for something more durable. 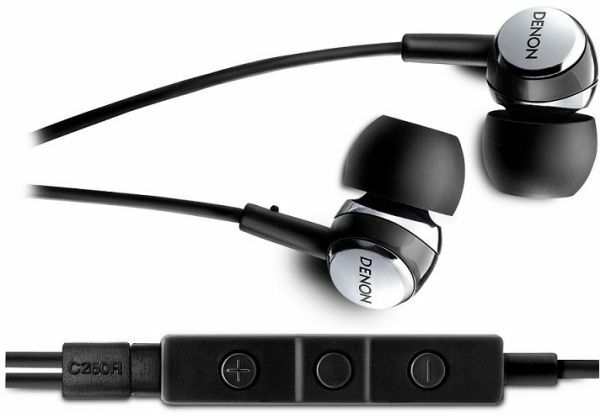 On the wishlist was an InEar headphones with remote control option for iPhone and Co at a price of about 50 euros. After the sound good experiences I first looked at the offer of Sennheiser. The Sennheiser MM 70i offers a remote control, an unbalanced cable and would also be acceptable from the price, but unfortunately a straight jack plug. And exactly one was so far each time the “death sentence” for the SmartTalk, since at this always the cable break occurred. 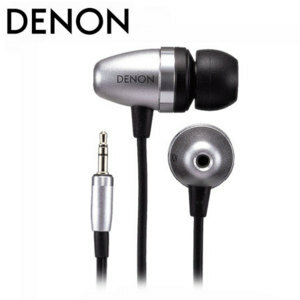 In the end, I decided for the Denon AHC-260R , with which the cable does not run at the neck, but otherwise my wish list was fulfilled. 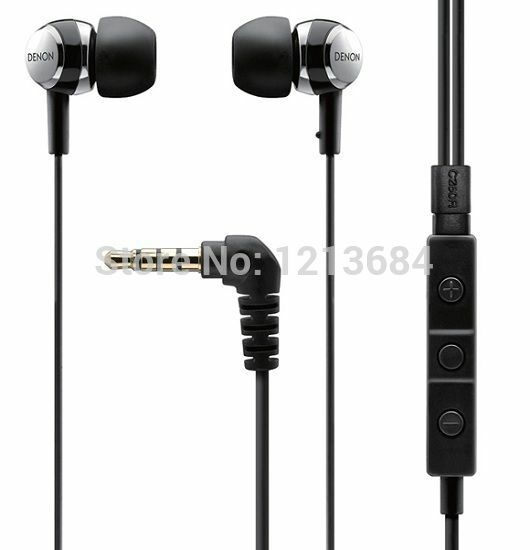 In addition to the headphone, the package contains a clip for attaching the cable to the clothing, four different sizes of Ohradaptern, a transport box, the “precautions when using the headphone”, an overview of the services worldwide and a multilingual user manual. 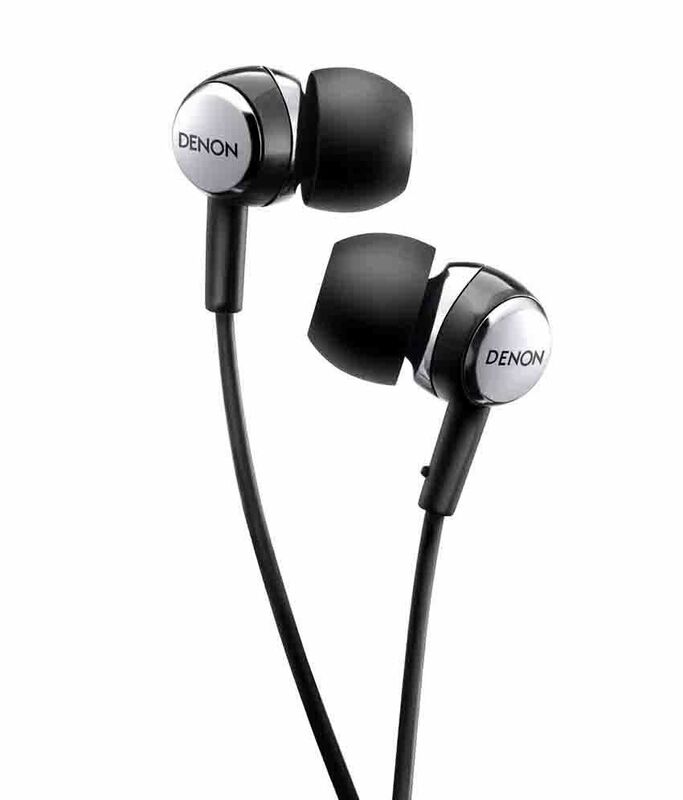 The Denon AHC-260R’s cable is a bit thicker compared to my existing headphones, making it more stiff, so you have to “hang” it out before you use it for the first time. Due to the symmetrical cable, this is only held by the ear plugs, which from time to time leads to the loosening of the ear and the pressure in the ear again. To avoid this problem, the cable can be attached to the clothing with the included clip, at least in theory. Unfortunately, it does not really work, because the cable is neither tight enough for a permanent fixation nor loose enough to slip through without problems. 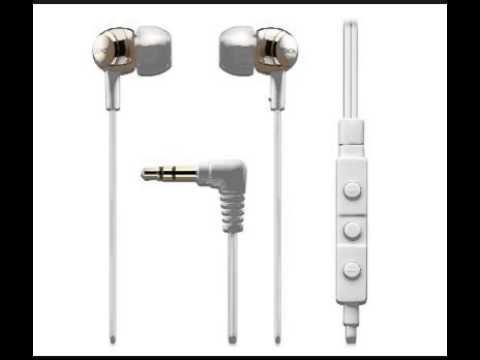 So it slips when you lean slightly bent forward, then you stand up or stretches, it can not slide fast enough through the clip upwards and the earphones are pulled out of the ear. Currently, my solution looks like the clip is installed directly below the remote control, preventing the cable from slipping down. This again has the advantage that the remote control is always in the same place and one can use it almost blindly. However, the upper part of the cable “bends” again when the posture is bent and the cables hang in the way. According to the manufacturer’s description, the cable is an OFC cable. Here only one search on the web helped: OFC stands for Oxygen Free Copper-oxygen-free copper. This special material is intended to prevent the hydrogen disease or, better understood, the change in the ductility. I as a user should be right, if the quality and longevity is ensured. With a cable length of 1.30 m, the cable is long enough to stow the player during playback in the pocket without stretching it. The remote control allows volume control, pause/playback, skip to the next or previous track, fast forward and reverse, answer/reject call and voiceover. The AHC-260R is compatible with iPhone 4, iPod touch (3rd generation), iPod classic (2009), iPod nano (5th generation) and iPod shuffle (3rd generation). They work but also limited with the iPad (1st generation), the telephone functions are not available with this course, as well, I could not activate the voice control. The position of the microphone, which is located on the back of the remote control, is badly solved. If it lies flat against the clothing, which is the case during normal use, the speech is attenuated before reaching the microphone. This has a bad effect on both voice calls and voice control. When talking on the phone one gets badly understood and somehow annoy the constant questions, while in the language control, on the other hand, sometimes a different interpreter plays or completely “funny” a number selected from the telephone book although one only one interpreter for the playback wanted to select. Both names (interpreter contact) did not even sound similar. If you can not do the remote control, Denon offers the AHC-260. The AHC-560R (longer Ohradapter, aluminum instead of PVC for the diaphragm, higher load capacity and larger frequency range) should be looked at. 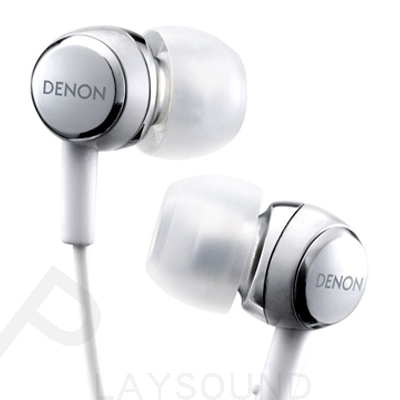 The actual InEar “pegs” are slightly angled with the Denon headphones, so that an inadvertent insertion into the “wrong” ear is not possible. The last picture of the picture series shows this in comparison to the previous Sennheiser headphones (MX500) with straight design. With the four different sizes of the Ohradapter, the right version should be found for each ear and thus provide a good shield against environmental noise and a good sound. In both categories, there is nothing to complain about, so you can also enjoy the music with many sounds. However, the AHC-260R seems to have a quite large attenuation, because compared to the previous headphones, I have to adjust the volume about 30 percent higher to reach the same “felt” volume. To what extent this has a negative impact on the battery life I can not judge. 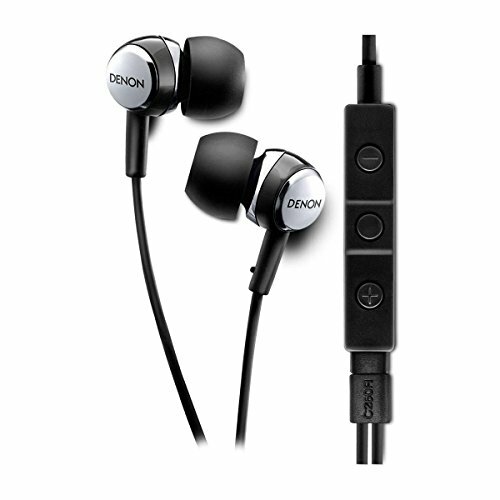 For pure listening to music, the Denon AHC-260R is a recommended in-ear headphone with the possibilities of the remote control. You can find it in SongAAH. If you use a lot of telephones or intensively use the voice control, however, should look around for another model, because the placement of the microphone on the back of the remote control suffers a lot of voice quality.